Introduction: We decided to pimp a festive snack. Although advent calendars are fun, it is slightly disappointing to open a door each morning and find one small square of chocolate. For this reason, we decided to go LARGE. 1: Our tools. 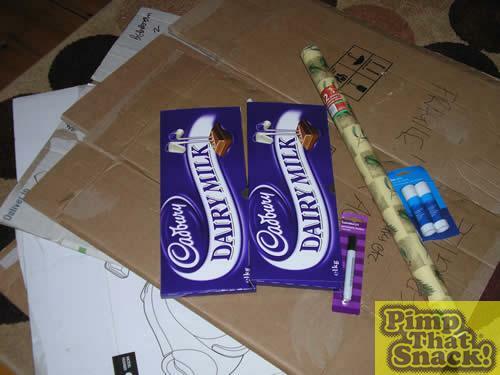 A combination, Tesco and Sainsbury's stationery, Poundland wrapping paper, old cardboard boxes and of course, the chocolate! 2: Has Christmas come early? 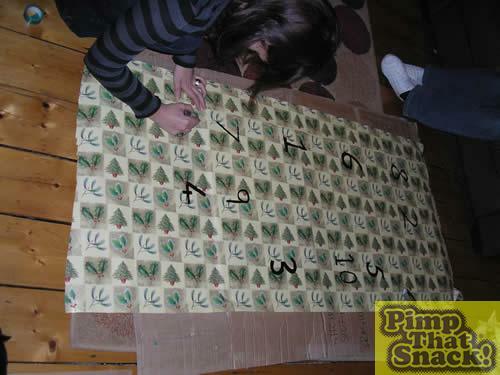 This was our second attempt at getting the paper straight on our advent calendar. 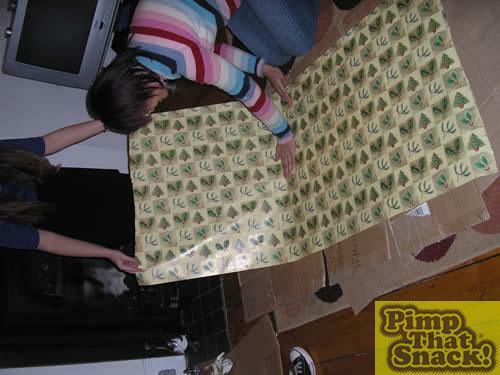 Lucky we bought a 12m roll of wrapping paper! 3: Here we put our artistic skills to the test. 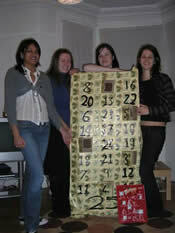 By this time the wine had flowed, and the numbers were getting wonky.